As we countdown to the ceremony, Solar Power Portal is to shine the spotlight on this year’s shortlisted nominations, and today we look at the International Storage Project of the Year category. 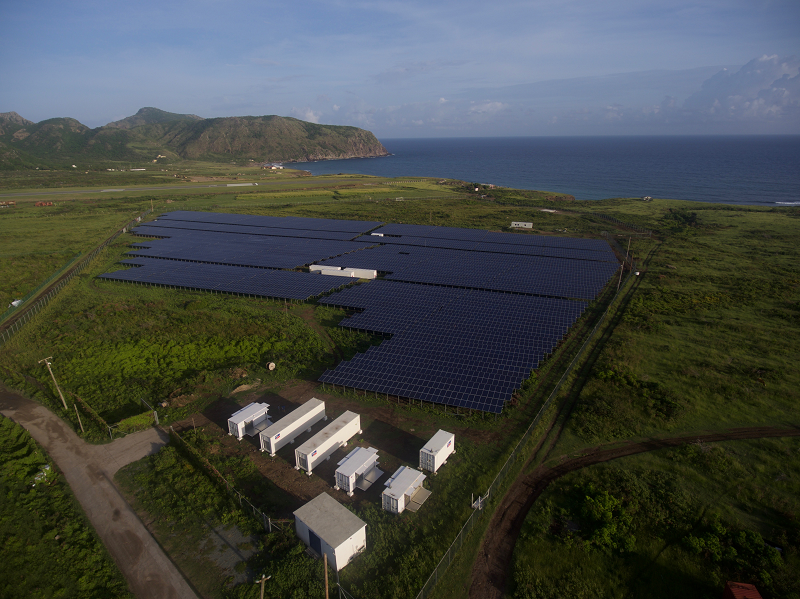 At 5.4MWh, the St. Eustatius Hybrid System is the largest lithium-ion battery storage system in the Caribbean, helping secure power for the island’s 4,000 inhabitants. The hybrid system combines the storage battery with more than 4MW of utility-scale solar and developed in a two-phase approach. The second phase saw both the solar and battery storage capacities ramped up to their current totals and combined with SMA Sunny Central Storage 2200 battery inverters. The finished project was successfully commissioned in November 2017, just before the island of St. Eustatius’ national day. But can the project overcome a packed field to win? All will be revealed on Wednesday 17 October at the Solar Power Portal and Energy Storage News Awards.